Good Morning! Can you believe that it is August already, and right on cue the August winds have begun for us in Brissy! This month is all about tassels! Now I must say, that I don't mind tassels, but never really thought about adding them to my pages before, so this did prove a little bit challenging. But what is life without a few challenges! Don't you just love the background kraft that I have found?! This came from a pack by Papermania (Docrafts) and is full of patterned and foiled kraft cardstock, yes card rather than paper! It is awesome. 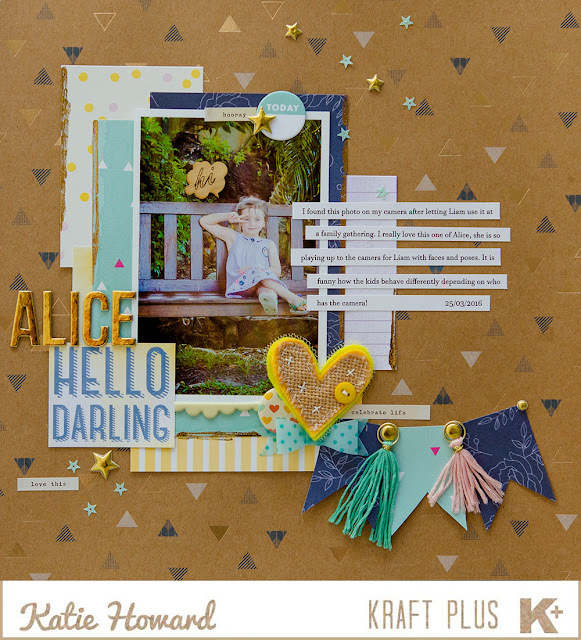 This one has some gold foiled triangles among the triangles, so pretty. I just love this photo too. It was taken by my Liam when we were at a family gathering. Sometimes I let him play with my camera to keep him entertained (cause the gatherings are always so boring you know! ), and I end up with some fabulous shots. So I worked my tassels into a banner, that I have nestled into a little cluster featuring one of the bright hessian hearts from Charms Creations. I think these might be one of my favourites at the moment. There is also a vellum bow from Rainbow Splendour, these are just so versatile! Oh and there is a sale coming up soon for Rainbow Splendour and the new kits are fabulous! 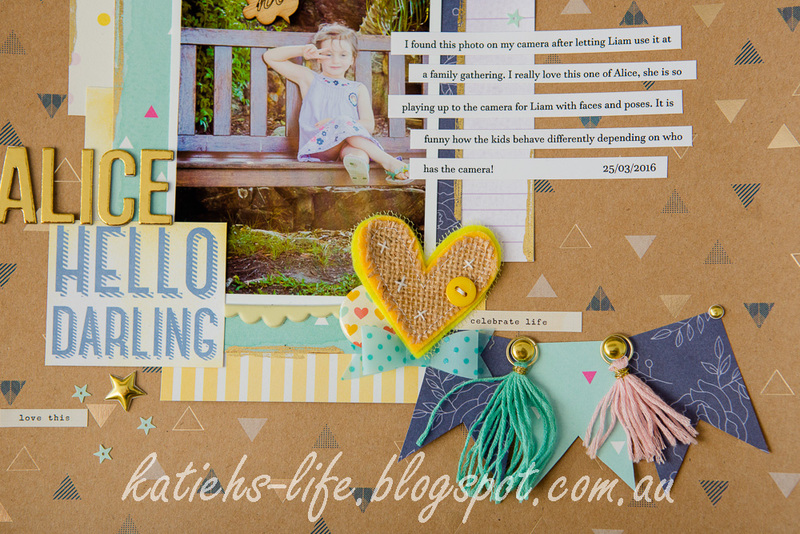 This cute speech bubble wood veneer is also from Rainbow Splendour, these are just the perfect size to add to your photo without taking up too much space. You can also see the gold foiling on the edges of the patterned paper in this shot too. 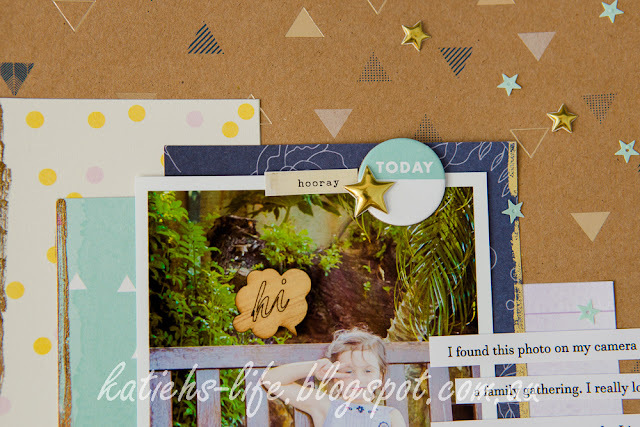 I used a foil adhesive pen and HS gold foil to add these touches. Loving adding foiling where ever I want to in this way! You don't even need to use a Minc or laminator with this method. So, that is my page. 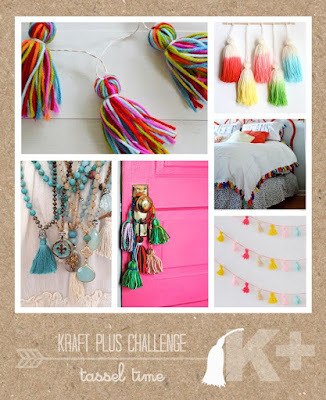 Make sure you head over to the blog and check out all the other amazing tassel ideas from the team. You can find the blog here.